Give your windows a chic, tailored appearance with a pair of striped made-to-measure curtains from our latest collection. Striped curtains are a great way to bring your colour palette together or to introduce new accent shades into your interior designs. We have a huge range of styles and colours to suit every room in the home. Classic stripes are perfect for creating a tailored look, whereas narrow stripes, wavy lines and dashes work well in contemporary spaces where you want to add a modern twist. Our expert advisors will bring our entire range for you to browse at home, so you can choose exactly the right look for your décor. If you need help with your decision, ask your advisor to show you how each fabric will look at your window using our visualisation tool. That way you can be completely sure you’ve chosen the perfect stripe for your home. 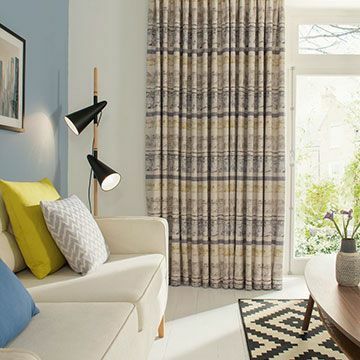 Our made-to-measure curtains come fully lined as standard, but you have the option to choose thermal or blackout linings, depending on your particular requirements. 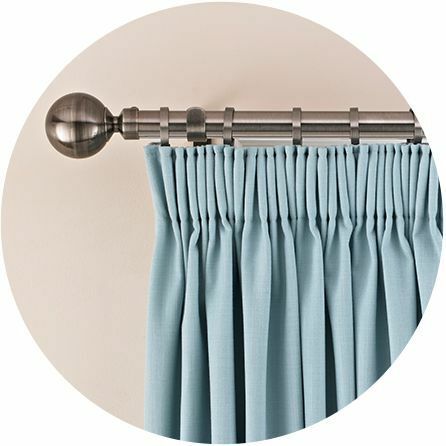 Plus, we have a range of curtain poles and accessories to help you finish your look. 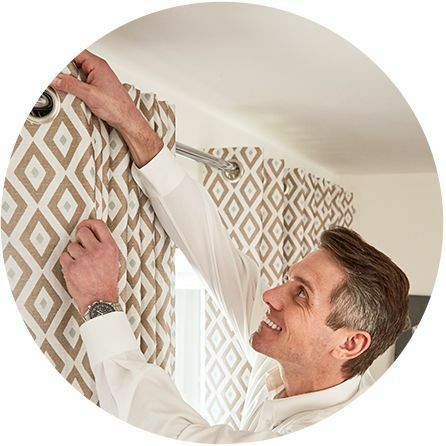 And of course our dedicated in-home service includes measuring your windows and professionally fitting your made-to-measure curtains, all at no extra cost.